For a Maryland father whose pregnant daughter was murdered in 2017, unthinkable grief has been tempered by determination and an understanding of political expediency. Mark Wallen is hopeful Maryland has taken one large step toward protecting pregnant women. The Maryland Senate approved a bill Friday that would allow for stronger sentences — up to 10 extra years in prison — for defendants convicted of violent crimes against pregnant women. The bill passed 46-1. The bill would allow for an enhanced penalty — up to 10 extra years in prison — for a defendant convicted of any violent crime against a pregnant woman. The bill requires a defendant to know the victim is pregnant. 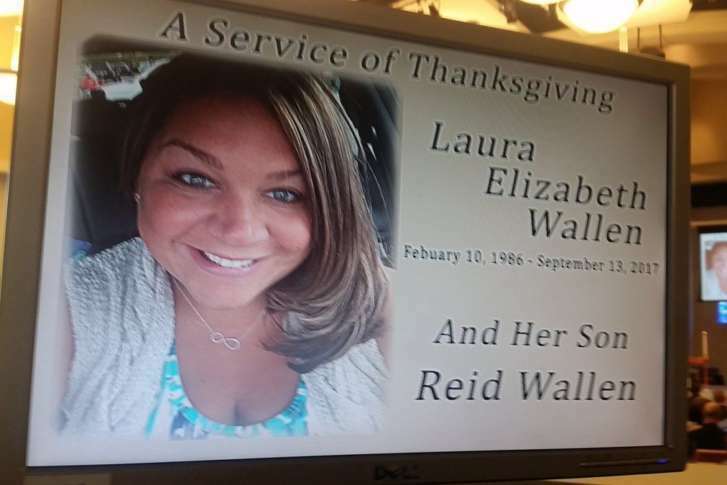 Laura Wallen, a 31-year-old teacher at Wilde Lake High School in Howard County and the daughter of Mark and Gwen Wallen, was 14 weeks pregnant, when she was shot in the back of the head by her boyfriend, Tyler Tessier. Tessier died of suicide in a jail cell last September, on the day he was to stand trial for Wallen’s murder. Montgomery County State’s Attorney John McCarthy was constrained from filing a second murder charge against Tessier, since Maryland law requires a fetus be viable outside the womb, which occurs at approximately 24 weeks. In January 2018, Mark and Gwen Wallen began their fight to change Maryland’s law on fetal homicide during an Annapolis news conference. In its initial form in 2018, “Laura and Reid’s Law,” named for their daughter and unborn grandson, sought to do away with the viability requirement in murder or manslaughter cases. However, in the 2018 session of General Assembly, “Laura and Reid’s Law,” didn’t make it out of committee. At the beginning of the 2019 session, the bill, sponsored by Sen. Justin Ready, a Carroll County Republican, would have allowed prosecution of murder and manslaughter when the fetus was at least eight weeks old. In February, Mark and Gwen Wallen testified in Annapolis on behalf of Ready’s bill. Yet, Wallen said the turning point was a bipartisan agreement, behind closed doors. “It happened after our testimony, in closed session, when they were discussing if they wanted to get it out of the committee,” said Wallen. “If you assault a pregnant woman, it is a felony — it is not just an assault,” Wallen said of the bill, as amended. “When it became clear that Laura & Reid’s Law as originally drafted would not get a vote in the General Assembly, I worked with Judicial Proceedings Committee Chairman Bobby Zirkin and other legislators, as well as advocacy groups to streamline the bill so that all pregnant women would be able to receive this additional protection,” said Ready, in a statement. Wallen said he and his wife had been briefed that the amended bill stood a far better chance of being passed.